Bartolomeo Cristofori was an Italian instrument maker who is widely credited to be the inventor of the piano. Nothing detailed is known about the circumstances surrounding his birth, life or career. We know that he was born in Padua, Italy on May 4, 1655 but nothing of his parents or education. According to some reports, he served as an apprentice to the famed violin maker Nicolò Amati as there is a record of a person of the same name living with him according to the 1680 census. However, there are some doubts concerning this since Cristofori would have been 25 years old at the time whereas the census shows this person’s age as 13. The most significant event of Cristofori’s life was his employment with Prince Ferdinando de Medici, son of the Grand Duke of Tuscany in 1688 at the age of 33. The prince was an avid lover of music and possessed a great many instruments already. He hired Cristofori as a technician to maintain and repair his considerable collection of instruments and also as an inventor. Very likely, Cristofori had already established his reputation by then as he was offered a higher salary than his predecessor of 12 scudi per month, along with a furnished house in Florence. Cristofori moved to Florence in May 1688 and took up his post as the custodian of the prince’s instruments. The Grand Duke of Tuscany had a large team of about a hundred artisans at his court. When Cristofori arrived, he set to work restoring valuable older harpsichords as well as tuning, maintaining and transporting other instruments. He had his own disciples, one of whom was Giovanni Ferrini to whom Cristofori bequeathed his entire collection of tools in his first will. In his second will however, he only left Ferrini a sum of 5 scudi which could imply that they had a falling out, although this circumstance isn’t certain. The exact date of the invention of the piano is not known but it is known that by 1711, at least three of these new instruments had been built. It was originally called “che fa’ il piano, e il forte” that is, a harpsichord that plays soft and loud. This was the distinguishing feature of this new instrument, its sound could be controlled by the amount of force with which the keys were pressed. Cristofori improved his instrument throughout his life and added features that now make it resemble the modern day piano. Cristofori’s patron Prince Ferdinando died in 1713 at the age of 50, after which his father the Grand Duke, Cosimo III took over. Cristofori continued in his employment as before and in 1716 he was appointed as the curator of all musical instruments in the Florentine Royal Collection. Between 1709 and 1726, he made twenty pianofortes but they remained unused as the instrument was initially pronounced “too difficult to master” and the inventor received neither recognition nor wealth for it. The first records of music written for the piano forte appeared in 1732 by an Italian composer named Ludovico Giustini. The production and use of pianos was later popularized by the Germans. 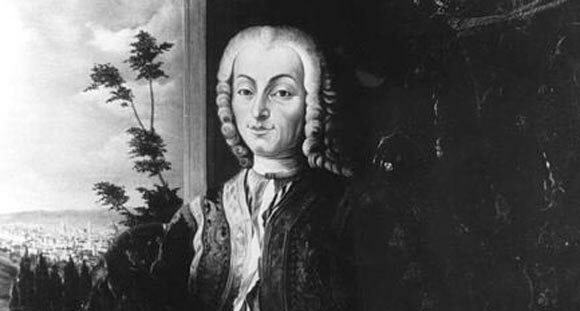 Cristofori died on January 27, 1731 at the age of 77. Nine of his original pianos are known to survive today and are held at various museums.